CA16, Quaife SCCR 5 speed, Ford LSD. Haliday 13x10 3 piece rims with goodyear slicks, fabricated chromemoly front end. Lapped pukekohe in 67 secs, in the days before the track was resealed. Cheers. For once going left and right in the photos didn't just go to random photos and found a couple more photos of it. Nah that's a silhouette racer. 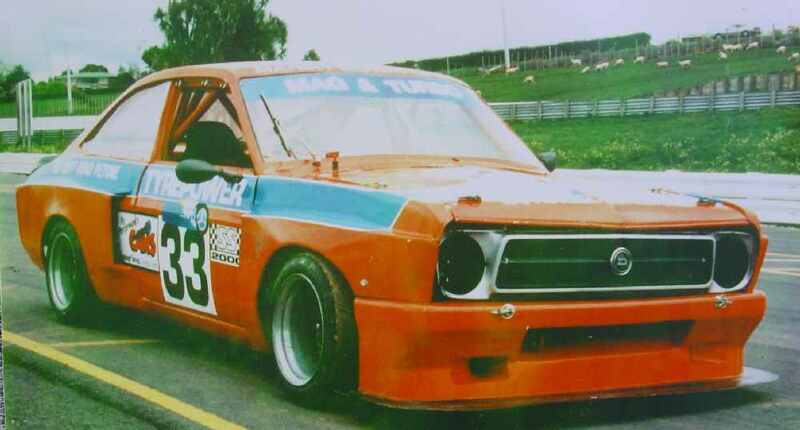 Do a Google image search for 'fury bluebird' and 'moffat rx7'. That kind of style of wing. Man this would have looked killer with a Fury Group C Bluebird style bobtail on the back. Got any more photos of it? Is this the Group C bluebird? I can tell this picture was taken in NZ, from the background. I regret not reshelling this car. I've brought the engine back, and still have the suspension..